Oregon has been a state associated with the cultivation and development of cannabis products and culture since the underground industry began. 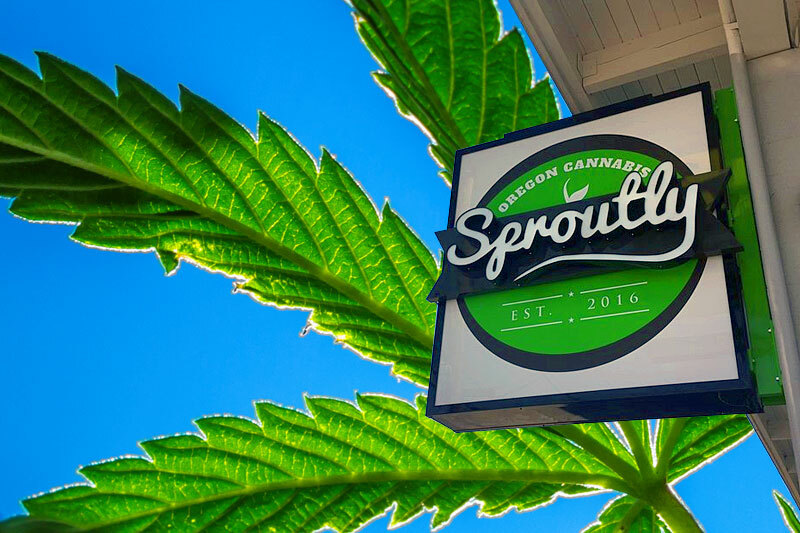 With Southern Oregon being a hotspot for grow operations and cities like Portland thriving from the results of recreational cannabis legalization, more marijuana jobs than ever are making themselves known statewide. Eugene budtender jobs are cropping up alongside the establishment of more cannabis dispensaries. Eugene, Oregon is often considered secondary to Portland, but it has a terrific culture in its own right. University of Oregon is located in Eugene and has a yearly enrollment of around 23,000 students. The university contributes majorly to the city as a whole since it employs professors and staff. When the legal cannabis industry broke, Eugene was quick to integrate recreational marijuana alongside medical sales. As jobs for educated post-grads become more competitive, workers are being driven into the customer service industry. For some students who have just finished four years intensely studying, many throw themselves into one of the many Eugene budtender jobs that have cropped up around the city. Both Eugene and Portland are at the forefront of recreational cannabis distribution. Dispensaries proliferate widely throughout the city and are owned and run by industry professionals and knowledgeable staff. Who Can Work Eugene Budtender Jobs? When it comes to finding employment in Eugene budtender jobs, who is eligible? As far as hard and fast rules go, all recreational budtenders have to be twenty one years or older to work in a dispensary. Additionally, most dispensaries won’t consider applicants with prior felonies related to theft or other charges that would threaten their customers, employees or business. Other than that, recreational sale is a fairly straightforward process. Unlike medical marijuana dispensaries, employees do not have to be recommended for a medical patient card by a doctor before working. Now, Eugene budtender jobs must simply get a Marijuana Worker Permit. This permit requires applicants to study and take an exam that requires a 70% score to pass; after which, applicants are given a thorough background check. If the potential employee makes it through this step of the process, they can now pay for and print out their permit card. Sometimes all of the excitement surrounding cannabis legalization blurs out the details of the industry and leaves interested applicants with lots of lingering questions about Eugene budtender jobs. Budtenders are the staff you’ll see behind the counter of a cannabis dispensary showroom. These astute and helpful employees maintain an aptitude for assisting medical and recreational customers find the right products to suit what they’re looking for. As dispensaries have become more ingrained in society, the amount of products available for customers has surged. Eugene budtenders jobs therefore challenge budtenders to become well versed in cannabis flower, concentrates, edibles, topicals, paraphernalia and more! Additionally, budtenders must be up to date with all Oregon and Eugene-specific measures for keeping up with regulatory compliance. Budtenders should be able proficient in describing all the strains a dispensary has on display, and should in theory have tested as many of them as possible for themselves. Though Oregon legislation strictly prohibits on-site cannabis consumption, dispensary employers are encouraging of their employee’s cannabis use off the clock. Budtenders should be passionate about this industry, and be willing to learn more and engage themselves in new ways as the industry develops. A lot of people like to go home after work and smoke a bowl, but it takes a really eager cannabis lover to make a great budtender. Budtenders can really make or break a dispensary. Especially as more dispensaries are established and competition increases, it’s important not only that a shop’s products stand out, but its employees’ customer service as well. As the demographic of cannabis users expands, budtenders are assigned with assisting novice and experienced customers with equal investment. While Eugene budtender jobs will certainly include a lot of seasoned potheads frequenting dispensaries, an influx in senior citizens and middle-class Americans has been evident since legalization. Eugene Budtender Jobs are service industry positions. In that vein, it can be difficult to pinpoint exactly what employers are looking for, depending on location, wages and other variables. All that considered, the past few years of burgeoning recreational sale has provided anecdotal evidence on some standard job qualifications for budtenders. Search any general job board site like Indeed.com, or more specialized cannabis job boards like Cannarecruiter.com for Portland or Eugene budtender jobs, and you’ll find that each posting receives over 100 applications within days of being posted. For this reason, securing Eugene budtender jobs may not be as relaxed as obtaining a job as a barista, or even a bartender. Once again, budtending is a sales position at heart. Dispensaries want workers who know how to sell a product. For this reason, customer service experience is one of the most important qualifications for acquiring (some) Eugene budtender jobs. Apparently, some cannabis dispensaries care more about their workers’ past cannabis experience more than others, but nearly all dispensaries prefer individuals with customer service experience. You can update a new employee on cannabis legislation and train them to know the inventory with relative ease, but training someone to be good at customer service often takes more time and field experience. I’ve come across several budtender job postings that specifically desire “service with a smile.” Not only do budtenders have to be smart and attentive, they must also be friendly. Remember, budtenders are essentially the face of the new, legal industry. In fact, you will probably see budtenders more than any other weed worker if you’re a regular consumer. Therefore, dispensary workers put effort into representing the cannabis industry as a professional and compassionate, shedding any negative connotations of being a crime-filled business. Although a background working with cannabis may not be required for Eugene budtender jobs, it certainly strengthens an application. Cannabis experience is somewhat of a grey area, considering a lot of it was carried out under the black and grey markets. Even medical legalization is relatively new, so many experienced weed professionals got their credentials from an “illegal” business. Unfortunately for these individuals, they have to choose whether or not to risk mentioning past experience when transitioning into legal marijuana jobs. Direct cannabis experience is definitely required for many marijuana jobs, including concentrate creators and lead growers, but the sales industry is a little more forgiving, especially considering the high turnover rate and relatively low wages. Budtending is often considered to be an entry level marijuana job, even though it arguably requires some experience.However, in keeping with entry level jobs are entry level wages. Budtenders can make as little as minimum wage, or as high as about twelve or thirteen dollars per hour. The average budtender hourly wage is between eleven and twelve. Some Eugene budtender jobs allow for budtenders to receive tips, though not all dispensaries allow this. Budtender wages are nothing to write home about, but workers know that this position comes with potential far above minimum wage. Being a budtender is a kush position if you want to work your way up the ladder of the cannabis industry. Budtending involves direct, daily interaction with cannabis products, as well as consistent customer service and online/administrative responsibilities that contribute to a strong work portfolio. Aside from job mobility, Eugene budtender jobs offer perks for employees that few other jobs do! While most dispensaries can’t give away free cannabis to employees, they can give employees a healthy discount! Considering most would-be budtenders spend a pretty penny on cannabis every month, this discount really adds up! Oregon is a special place–it boasts gorgeous landscapes and bustling metropolises. It’s no surprise that cannabis has been embraced in such a beautiful venue. As the bubble of the industry envelops more and more states around the country, then internationally, the distribution sector of the cannabusiness will require more products and more budtenders to keep up with demand. Eugene will likely continue to be on the cusp of cannabis progress, and budtenders will continue to provide an integral role in the community.